Found these pictures of a “brassed M2” floating around on the net. I kind of like it. It’s not pretending to be anything but what it is. Collectible? No. But cool in an offbeat way. Plus its an M2, which is the coolest non-metered Leica M ever made, right up there with the beloved M5 (beloved by me, at least) for usability. Apparently someone stripped the chrome finish to the brass underneath and “weathered” it. I’m not sure I’d want to use it as my daily user, however. Brass is an alloy of copper and zinc. Copper isn’t terribly harmful for you, though it will turn you green and cause funky rashes and skin irritation. Zinc commonly upsets skin with comparable results. For “castability” most brass contains nickel, which is poisonous. In addition, brass that is not made for jewelry usually comes from an industrial source where it is alloyed with any number of additive metals to serve an industrial purpose: rustproofing, spark resistance, insulation, heat dispersion. Industrial grade brasses frequently contain lead at concentrations of around 1-2%. This is a harmful metal to be in contact with the skin— highly damaging to brain and organ tissues. Other alloying materials include arsenic and phosphorus. 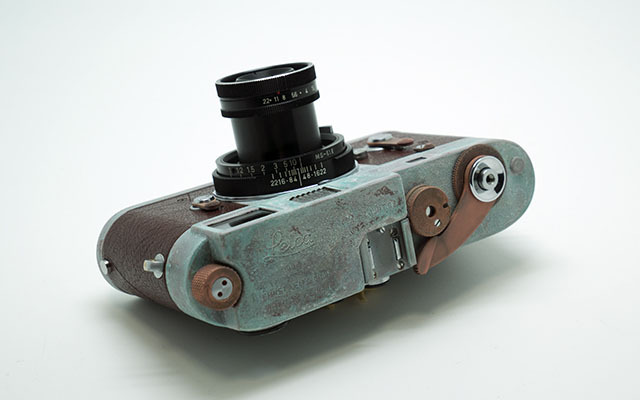 The brass sourced by Leitz for its camera bodies probably is industrial quality. There’s a reason they put chrome over it. 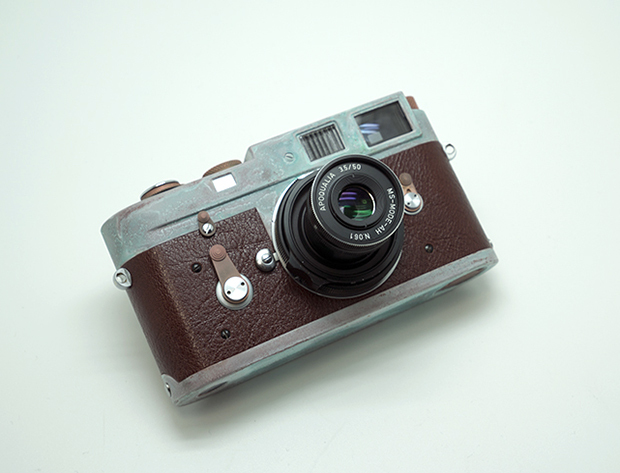 This entry was posted in Collectible Leicas, Leica M2 and tagged Brassed Leica M on February 21, 2015 by Leicaphila.